Delaware County Probate/Juvenile Court Judge David Hejmanowski has been named to the Board of Fellows of the National Center for Juvenile Justice. Hejmanowski, who succeeded Kenneth J. Spicer as judge in 2015, will serve on the board’s Advisory Committee for the 2018-2019 term. The National Center for Juvenile Justice (NCJJ), located in Pittsburgh, Pennsylvania, is the research division of the National Council of Juvenile and Family Court Judges and is the oldest juvenile justice research group in the United States, having conducted national and sub-national studies on crime and delinquency since 1973. NCJJ was founded by the Honorable Maurice B. Cohill Jr., who served as a juvenile court judge for many years, then was appointed to the Federal Court in Pennsylvania’s Western District, and retired from the Federal bench in 2016. NCJJ is a private, nonprofit organization whose stated mission is “effective justice for children and families through research and technical assistance.” For four decades, NCJJ has conducted research and provided objective, factual information that professionals and decision makers in the juvenile and family justice system use to increase effectiveness. NCJJ’s success stems from a unique blend of technical skill and practical experience that has enabled them to make complex research and statistical information understood by juvenile justice professionals and decision makers. The organization’s Board of Fellows, a diverse group of dedicated judges, researchers, providers and justice system professionals, inform the center’s work and guide its decision-making. In addition to funded projects, the NCJJ also maintains a research endowment that was established by local foundations and is used to support worthy research efforts that would otherwise not be possible. 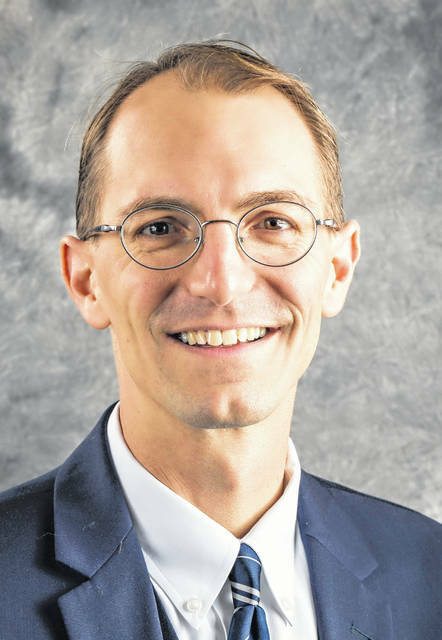 Hejmanowski is one of only nine judges nationwide who were chosen to serve on the Advisory Committee, and the only one from Ohio. Judge Hejmanowski was also recently reappointed to the Governor’s Council on Juvenile Justice, which helps provide guidance to the State of Ohio on implementation of the federal Juvenile Justice and Delinquency Prevention Act, and to the National Council of Juvenile Family Court Judges Curriculum Committee, which plans educational offerings for more than 30,000 professionals in the juvenile justice system across the United States. Hejmanowski said he feels that “it is the duty of a jurist to serve on board and commissions that improve the rule of law, access to justice, and the quality of life and living conditions in their own communities.” He also currently serves on 12 such boards or commissions at the local, state or national level, serving as chair or vice-chair on six of them. For more information about Delaware County’s Probate/Juvenile Court, please go to https://probate.co.delaware.oh.us/ and https://juvenile.co.delaware.oh.us/.